. Published on June 20, 2014 . An interview with Utah Business Magazine…Going behind the scenes with Cariloha Founder and CEO, Jeff Pedersen, to find out what makes him tick and Cariloha grow. Hint: It’s more than just their irresistibly soft, eco-friendly bamboo. There are few things better than having a dream or an idea of what you want to accomplish and then seeing that dream become a reality. It’s extremely gratifying. It’s awesome when you can pull something off that many thought was impossible, and help change the world along the way. Do you have any advice to hopeful entrepreneurs? Work with people you like being around because you spend way too much time at work. Work with people who inspire you. I’m blessed to be able to do that at Cariloha. Make sure your business is in an industry that has momentum. Like kayaking in a river, you can go a lot faster and farther when you are paddling in the current. At Cariloha, we offer soft, cool, clean and green products. It’s exactly what customers are wanting today and in the years to come. They don’t just want a product, they want to make a difference in the world. Cariloha is doing just that. What’s the most important thing you’d like Utah Business readers to know about you and/or your organization? I’m very grateful to all of those who helped make our dream of creating Cariloha a reality! What is the main reason for your success? The main reason for our success is our amazing people! We have 532 people who work for Cariloha in over 13 countries. I love working with the people in our business. I trust them, I enjoy working with them and they have a burning desire to succeed. They continually amaze me with the obstacles they overcome and the feats they accomplish. Be passionate about what you do, success will surely follow. At Cariloha, we strive to live by that motto. I love what I do. I love our Cariloha stores and the energy I feel in our locations all over the world. We aim to create an environment that appeals to the senses of our guests. I love to see someone leave the dark and dreary world and enter the wonderful world of Cariloha – where you know you’ve won when the customers want to take a picture with you. It’s energizing! Lastly, don’t compete in the marketplace, create your own; pursue a Blue Ocean strategy. We learned early to innovate and create. We don’t compete on price or on features and benefits. We try to give our customers, the “Bamboo Nation,” a unique product offering like nothing else in the marketplace. Our Cariloha products are made from eco-friendly, sustainable bamboo, not to mention they are unbelievably soft. 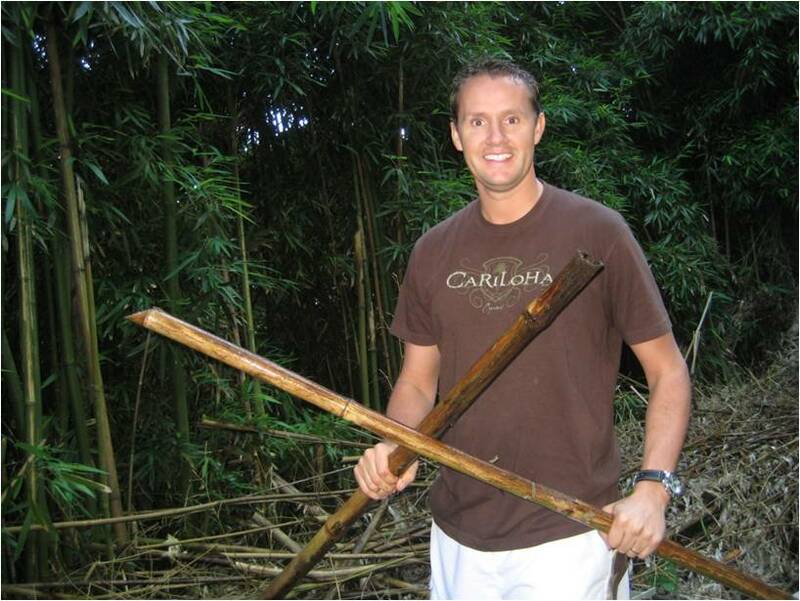 We are changing the world one Cariloha Bamboo product at a time. Bamboo is the most sustainable resource in the world, and all of our products are made from bamboo. It’s a comfy way to save the world! Learn more about Jeff and Cariloha’s leadership team here.